As we leap into June, we’re tackling an ever-growing list of projects, some of them long overdue. I currently have a 3-columned to-do list, each column noting whether or not the items are “high,” “medium,” or “low” priority. The idea was that I shouldn’t move on to the “medium” and “low” priority tasks until all the “high” priority ones were down, but if I did it that way then I really would get nothing done. So, each day I’m plugging along and trying to check as many things off my list as possible. Our half-acre gardens are almost entirely planted at this point. Only a few raised beds remain empty, as we wait for a couple late shipments of flower starts for some of our late-season weddings. Pathways are getting mulched, flowers are getting trellised, potatoes are getting hilled, weeding/cultivating never seems to end, and the list goes on and on. The shop is getting organized and re-organized as we try to lean up our operation and maximize our efficiency. We’re far from efficient at this point, but every day we get closer to the kind of operation that we revere. This year we’re more confident, more prepared for the workload, and ready to take on more new challenges. And, surprisingly, we’re already making preparations for next year. We have spring bulb orders to finalize, meetings with prospective brides, and all sorts of planning going on as we tried to keep our heads above water in the now. It’s a well-oiled, albeit clumsy, machine, folks. One of our main goals this year was to get our weekends as a family back. That’s not exactly been consistent yet, but on Friday we did allow ourselves to escape to Starved Rock State Park so we could utterly wear out our son on the trails (and steps…so many darn steps.) It was a day filled with hiking, slides, and even an afternoon beer at a new local brewery/farm-to-table restaurant. We’re certainly working harder than we maybe should, but it sure does make our down time together feel even better. We are also happy to be offering our first “bundle” of the season. In addition to our farm stand offerings, we will be offering a series of produce and flower bundles throughout the growing season. These offerings will be at a discounted price and will have a variety of whatever is in season at that time. Our first bundle has lettuce, kale, a mini-bouquet of flowers, and you can throw in a dozen eggs as well. We have just a handful left to purchase, so click below if you’re interested. We also encourage you to come to our farm open house on Saturday, June, 25 from 3:00-6:00. 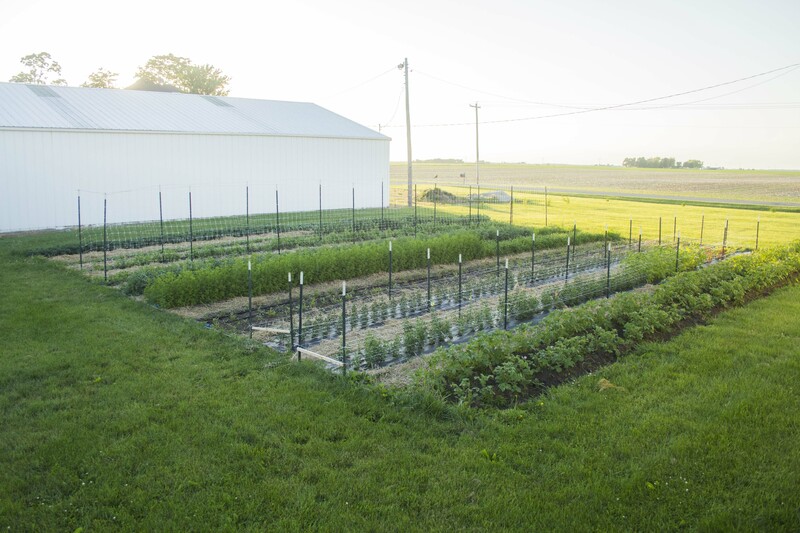 We will be giving farm tours, and we’ll have our farm stand stocked full of produce and flowers to purchase. Enjoy that summer sun, folks. Sit down and watch a sunset. Throw a frisbee. Get your hands dirty. Go swimming. Take a risk. Blow all your money on daycare and a start-up business. Share a drink with your love and see who gets the most mosquito bites and whoever has fewer has to wash the dishes until all the welts clear up. Write swear words on your arms in sunscreen and just see what happens. Do something, ya’ll, summer will be on its way real soon.